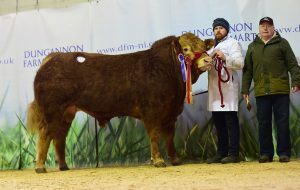 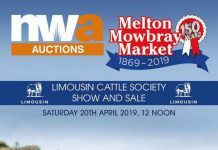 There was solid demand for Limousins at the British Limousin Cattle Society’s (BLCS) Bull & Female sale at Dungannon on Monday 12th February. 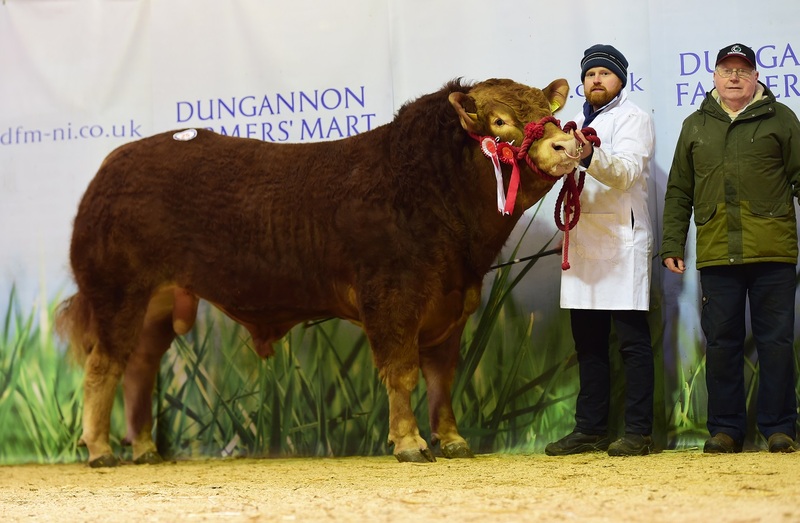 Despite heavy snow showers overnight the sale attracted an impressive number of buyers and achieved a clearance rate of 91% with 20 bulls heading to new homes throughout Northern Ireland. 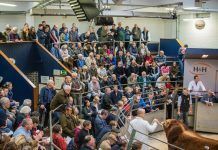 As 2018 gets underway and the seasonal round of pedigree sales is in motion, following on from a great day at Stirling recently, the sale provided yet more evidence of the sustained demand for the traits the breed consistently delivers to the market place. 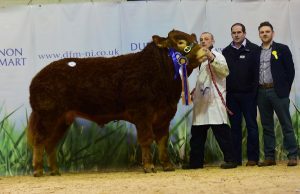 Gleneagle Master led the way when going under the hammer for 6,000gns. 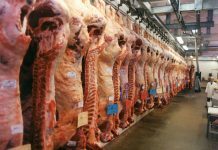 At this price it meant that the sale topped out 1,000gns ahead of last year. 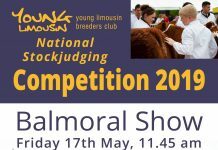 The August 2016 born bull, an embryo calf, came to the sale with a Beef Value of LM+43, well into the top 10% of the breed. 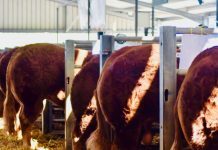 He combines the notable breeding of Sympa with Ampertaine Ikea, a strong Ampertaine Foreman cow. 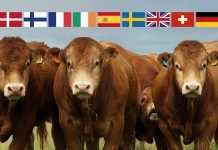 His dams breeding line goes back to the notable Sharon family which has bred numerous five figure bulls. Gleneagle Master, who had been tapped out as the Intermediate Male Champion in the pre-sale show by Judge Richard Law from Ballinamallard, Co Fermanagh, was consigned by Mr J B O’Kane, Coleraine, Co Derry, and was knocked down to M & M Robinson, Richhill, Armagh. 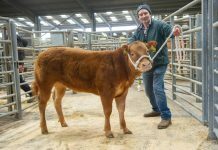 The Gleneagle herd also sold Gleneagle Maverick at 4,800gns, the second highest price of the day. 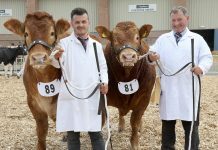 Maverick had taken the Junior Male Championship, Overall Male Championship and then Supreme Championship in the pre-sale show, so attracted keen attention from buyers. 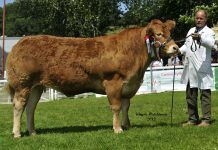 This October 2016 born bull, another embryo calf, is sired by Gerrygullinane Glen and also out of the Ampertaine dam Ikea. 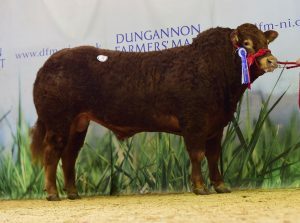 Maverick was purchased by P Broome, Ballynahinch.